Wow! 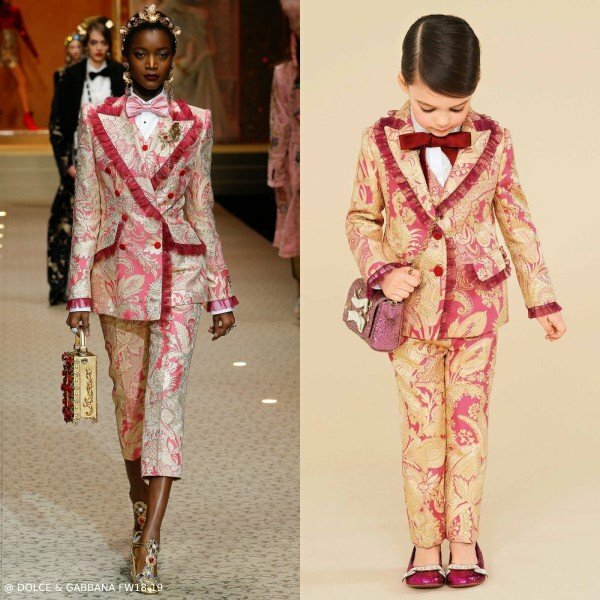 Love this Dolce & Gabbana Girls Pink & Gold Mini Me Runway Blazer & Pants. 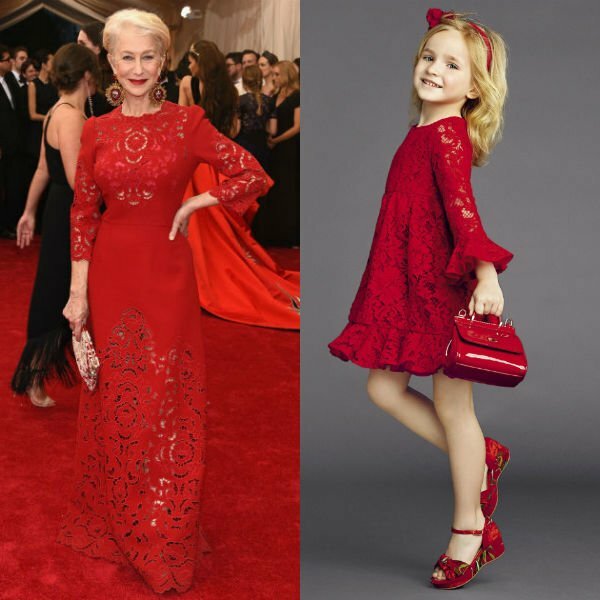 The perfect mini-me style for girls taken directly from the Fall Winter 2018-19 Dolce & Gabbana Runway Show at Milan Fashion Week. A luxurious silk blend Mini-me blazer for girls by Dolce & Gabbana, made in pink and sparkling gold brocade. The blazer has a pretty pink tulle edging, a soft silky lining and fastens with red buttons on the front. Looks perfect with these luxurious silk blend Mini-me trousers for girls by Dolce & Gabbana, made in pink and sparkling gold brocade. Perfect for a family holiday 2018 photo or a special red carpet occasion. Unfortunately, this Dolce & Gabbana Girls Pink & Gold Mini Me Runway Blazer & Pants is not currently available. 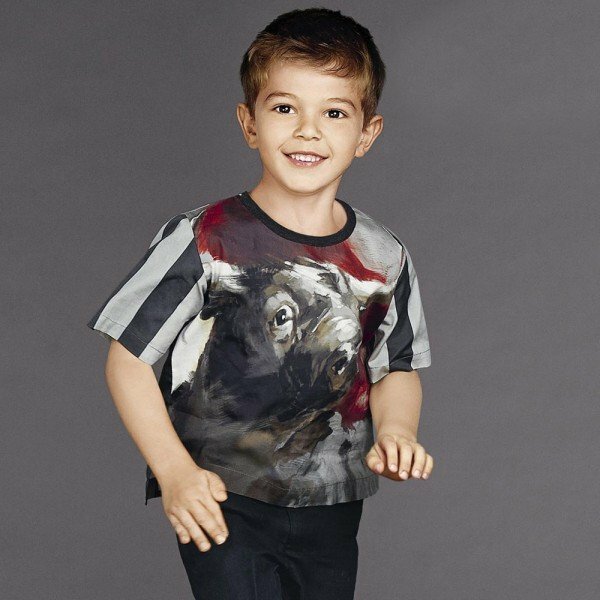 You can shop for similar Dolce & Gabbana Girls clothes from the current collection online. © COPYRIGHT 2007-2019 DASHIN FASHION. ALL RIGHTS RESERVED. PRODUCTS LISTED ABOVE ARE SAMPLES OF ITEMS OFFERED BY AFFILIATES. A FULL SELECTION CAN BE FOUND AT AFFILIATE WEBSITES. PRODUCT SPECIFICATIONS AND PRICES ARE OBTAINED FROM THIRD PARTIES, AND WHILE WE MAKE EVERY EFFORT TO ASSURE THE ACCURACY OF PRODUCT INFORMATION, WE DO NOT ASSUME ANY LIABILITY FOR INACCURACIES.